Thirty years ago Leonard Nimoy was ready for "Star Trek II" to be his final voyage, but logic prevailed. For Leonard Nimoy, returning to the role of Mr. Spock in 1982 for what seemed to be one last time didn’t only serve the needs of the few or the one – it turned out to serve the needs of the many. To commemorate the 30th anniversary of “Star Trek II: The Wrath of Khan” – generally considered to the best of the six movies that spun out of the classic 1960s sci-fi TV series – Nimoy made a visit to a special outdoor screening of the film at the Los Angeles Film Festival where he shared his memories of the behind-the-scenes dramas that ultimately resulted in one of the greatest “Star Trek” adventures of all time. 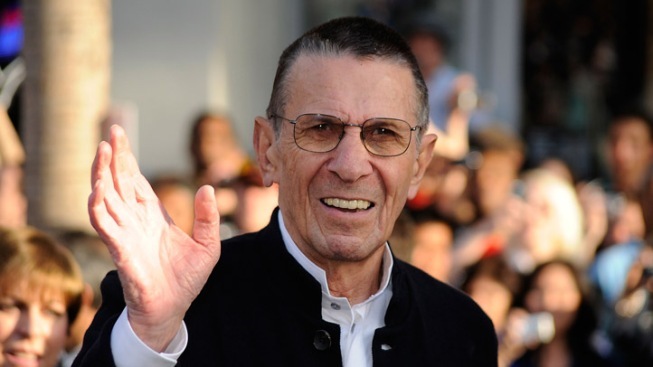 Initially planned as a lower budget follow-up that would also allow Nimoy to exit the role so long associated with him, the movie would in fact become the catalyst that would save and propel Gene Roddenberry’s franchise into its own lengthy future. The first movie, 'Star Trek: The Motion Picture,’ cost something like $45 million, went way over budget. This one, when they began to talk about doing it, was going to cost a fraction of that. The first movie, in my opinion, was not really a very good 'Star Trek' film: It was not about us, it was not about the traditional kind of 'Star Trek' storytelling – it was a different kind of movie. My concern was that Paramount now wanted to squeeze one more bite out of the apple, but by making the cheap sort of television version of a 'Star Trek' movie, and I thought this was going to be the end of it. I thought if that was the case, maybe it makes sense for me and the Spock character to go out in a blaze of glory and be done with it. I wasn't looking forward to finishing, but I really thought that 'Star Trek' was finished. 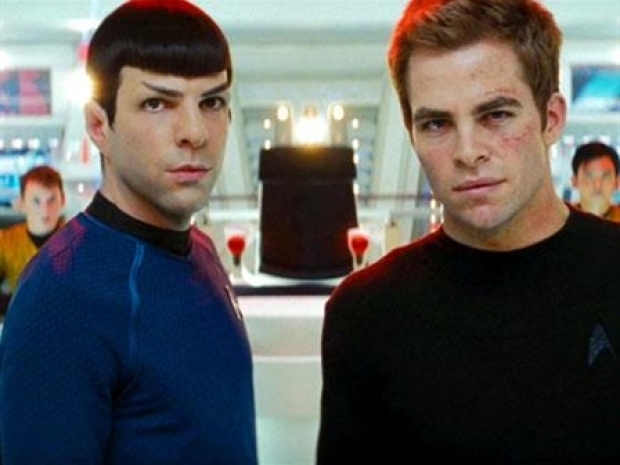 Why William Shatner Got The Shaft From "Star Trek"
J.J. Abrams, Chris Pine, Zachary Quinto, and the rest of the "Star Trek" gang chat about the film, admit to not being "Trekkies", and why William Shatner is NOT in the movie. Zachary Quinto hits the red carpet for the Trevor Project's 2011 Trevor Live at the Hollywood Palladium in LA where he chats about getting ready to film the "Star Trek" sequel. Working on the film I felt very strongly that the film was a good 'Star Trek' movie – if not a terrific 'Star Trek' movie. We came to the day when we were going to film the scene that Harve Bennett had talked about and it was a very powerful scene. It was playing very well, and I thought to myself, 'I think I've made a terrible mistake!' Thankfully, Harve came down to the set as I was about to go in to the chamber – this will be a spoiler for some of you who haven't seen the film: He said, 'Is there something you can do that can give us a thread to continue this story?' I came up with the one word that you'll see in the movie, and those of you that know what the word is – you'll ‘remember,’ won't you? Yeah. So I did that. I picked the word and I did the piece of business that was called for, and the movie was a very good movie and very successfully put 'Star Trek' back on track. We were all very grateful for that, because it gave me the opportunity to direct the next two films and to produce the sixth, and a lot of great things happened as a result. That film really, in my opinion, saved the 'Star Trek' franchise, because it was really in trouble at that moment. It was remarkable. She described herself as fresh off the turnip truck. She'd just arrived in town a short time before she'd auditioned for the film and they gave her the role. She was terrific. She found a center for that character and she was so successful in it. She didn't need any mentoring from me. She was very, very good very, very quickly. She understood what she had to be. I wish he was here and could explain that to you. I don't know why. We never talked about the why of it. I was just happy to be brought back – and as a matter of fact, in the original pilot, NBC – which was the network that was going to air the show – didn't want me on the screen at all. They really took the position that this character with the pointed ears looked devilish seriously. They wanted me out of the show. They said in what they called the Bible Belt, all the Southern states, that religious people would not want this character on their TV sets because he looked devilish, and they were concerned that it was going to be a negative for the show and they wanted me out. Gene insisted that I be in the show, and then just before the thing aired I got the copies of the advertising materials that they were sending out and there was a brochure that told what the series was about. It talked about the actors in the show and talked about the various characters and there were some photographs. Something struck me wrong about the photograph that I was in, and then I realized that I didn't have the pointed ears in the photograph! Somebody at NBC had actually ordered that the ears be retouched to eliminate the pointed ears, and then shortly after the show went on the air and the Spock character was successful. Then of course Gene got a phone call from the NBC people who in their wisdom decided that Spock was doing pretty good and that we should have more of him. So that's the way that story went. It was great because when I come on to the set everyone bows. It was great – J.J. says wonderful things, like, 'Here comes the man who's responsible for us being here with these jobs...' I admire him a lot. I think he's a wonderful storyteller in film and I admire his writers, and I'm thrilled with what's happened with the 'Star Trek' franchise. He's elevated the whole thing to a whole new level. I was having dinner with Zachary Quinto about three weeks ago, who's just finished working on the new one that's in post-production now. He tells me that it's extraordinary, that going to work everyday was exciting and fun and that everyone had a great time. So I'm expecting another great 'Star Trek' film next year and am looking forward to it.